More than 300,000 in print! Bipolar disorder is a lifelong challenge—but it doesn't have to rule your life. Find the science-based information you need in the revised third edition of this indispensable guide. Trusted authority Dr. David J. Miklowitz shares proven strategies for managing your illness or supporting a loved one with the disorder. Learn specific steps to cope with mood episodes, reduce recurrences, avoid misdiagnosis, get the most out of treatment, resolve family conflicts, and make lifestyle changes to stay well. 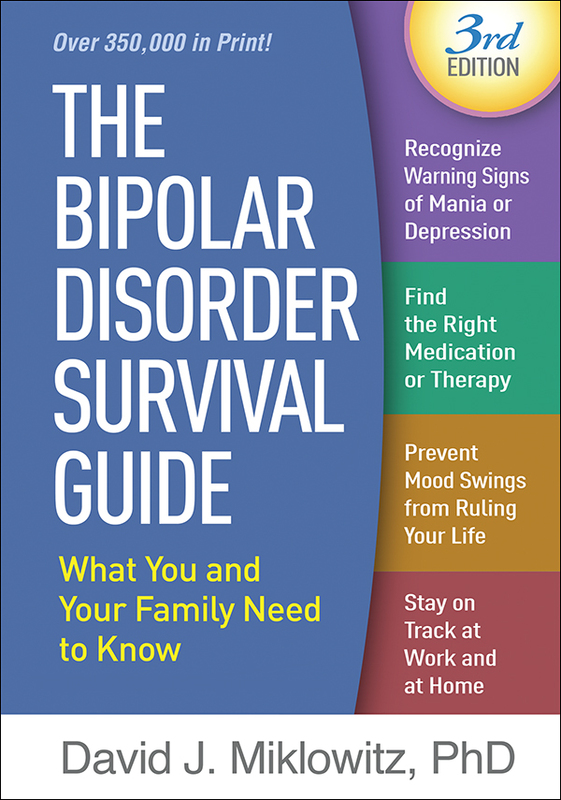 Updated throughout, the third edition has a new chapter on kids and teens; the latest facts on medications and therapy, including important advances in personalized care; and expanded coverage of the bipolar II subtype. It features boxes on complementary and alternative treatments and provides downloadable practical tools.